On Jan. 1, 2018, Northside Church of God in Springfield, Ohio, made the compassionate decision to sponsor three children—Simon, Natan, and Paskali—from three different countries: Nepal, India and Tanzania. When the church received the child profiles encouraging them to support Children of Promise, they felt the need to not just support one of the children, but all three. “Adoption” certificates for each child! 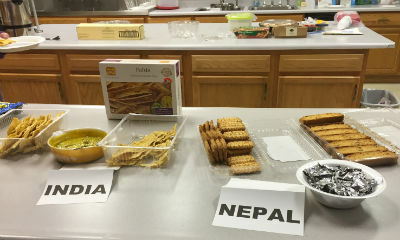 The adoption party for the three children was held on a Sunday evening with special foods that represented the three countries. Members of the congregation could learn more about the three boys on posters with photos, facts about their countries, and their countries’ flags. Together in unity, the congregation sang children’s songs and bonded over their newly “adopted” kids. They even took group pictures to send to each child, holding signs saying, ‘We love you’ and inserting the boys’ names. Northside Church of God is missionary-minded, with the congregation giving to their missions projects as a high priority. For that reason, Franko noted there was absolutely no problem jumping into sponsoring the three kids, using missions funds to support the Children of Promise project. 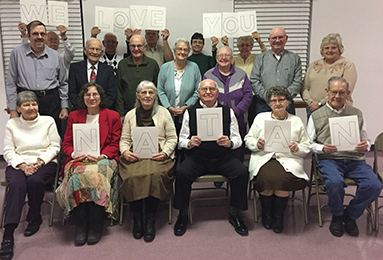 “We support several missionaries who do mission work in Haiti, the Middle East, Africa, and the South Dakota Indian Reservation,” says Franko. Additionally, the church is an avid giver to the Bible institute in Côte d’Ivoire, Brazil leadership development, and a local food pantry in Springfield. Foods representing each child’s home country. A spot in the church’s Sunday bulletin is reserved for a photograph of their Child of Promise the Sunday before his birthday. They will soon display a designated bulletin board for their sponsored Children of Promise with correspondence information or interesting occurrences with the children so that the congregation will be updated. Northside Church of God is one great reminder that anyone can sponsor children across seas in order to provide them a better life. Even small provisions offered to kids who are in need can truly make a difference. Maria Neathery is a junior from Greenwood, Indiana, majoring in public relations and minoring in event planning and music business. Neathery is an associate with Anderson University’s Fifth Street Communications, writing on behalf of Children of Promise. Learn more about Children of Promise at www.echildrenofpromise.org. This entry was posted in All Church of God, Great Lakes and tagged adoption party, child sponsorship, Children of Promise, creative, creativity, global, ideas, international, kids, Maria Neathery, missions, Northside Church of God, OH, Ohio, Springfield. Bookmark the permalink.